Andreas Koukas was born in Athens and studied Business Organization and Administration at the University of Piraeus. 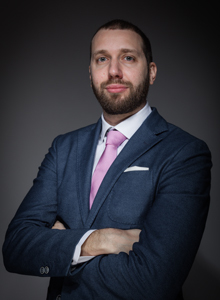 He completed his master’s degree in Strategic Marketing at the University of Cranfield and for the last 10 years he is working at Hilton Worldwide, based in the United Kingdom, currently heading luxury marketing in Europe Middle East and Africa. Andreas is responsible for omni-channel marketing strategies and activations, supporting Waldorf Astoria, LXR, Conrad and Canopy branded hotels in his region. In the past he has been responsible for digital marketing in several geographical regions, such as Continental Europe, the Middle East, Russia and Turkey.